I visited Estonia , a country I never knew existed during December 2002. It was a 2 day visit to see the country side over a weekend. I was based out of Finland for some project work. I had the company of one Canadian, one American and one Finnish consultant over the 2 months that I spent in Finland during that trip. Each weekend the 3 folks (2 men and 1 lady) planned to do something other than work. Being junior at work, I usually just acknowledged their plans but never contributed to any. One evening they decided to visit the plant at Tallinn which is the only thing I knew about Estonia. They excluded my name assuming that I would have visa restrictions. That evening (rather late night) I had a strange calling ...it felt weird, as I went back to my room in the hotel, and checked my visa, sent an sms to my travel admin and asked whether I can visit Estonia. I found I could in minutes so I went back the American lady who by now had become a good friend. I told her that I can come along to Estonia. She was thrilled to hear so she said, pack your bags for 2 days as we will do some sight seeing considering we were heading towards a weekend. We took a chopper ship - that is what they translated to me ...a ship that had a large blade fan that chopped the ice on its way to make way through the river at -15c ice glace. The journey was one anxious trip for us until we reached the port. From that point it was a magical land. Small lanes covered with snow, tiny long nosed people, wearing furs, walking swiftly across huge glass window shops, behind the glass windows, beautiful souvenir shops selling colorful goodies. This is the picture I have retained almost 12 years later about this place. The city looks like a chip off the Russian movies I had seen before. The people are intelligent and hard working holding big manufacturing plants for many telcos around the world. We shopped a lot of goodies mostly chocolates and cheese (moose milk cheese) which was probably imported from other parts of the Europe. 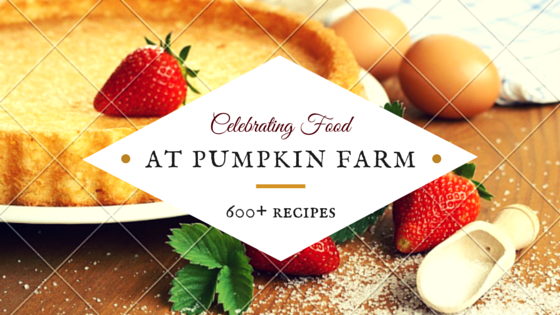 2) In another large bowl, take the flour, cornstarch, sugar, yeast and mix it well. Add the luke warm milk mixture gradually. 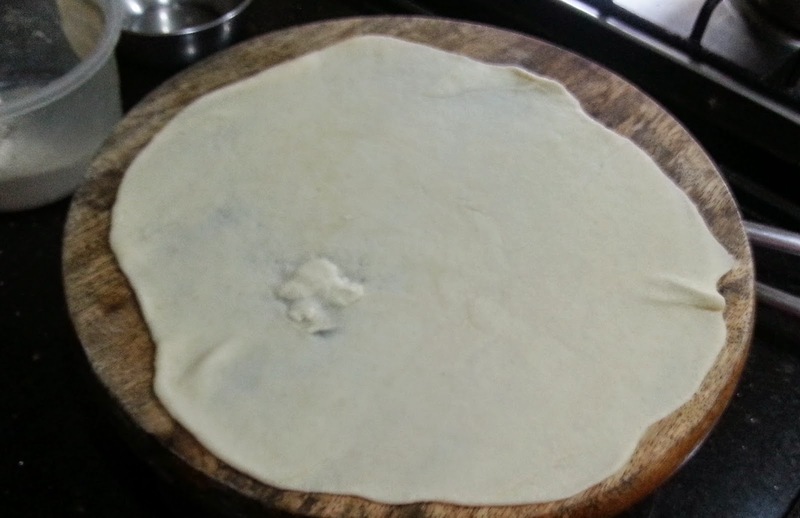 4) When the dough doubles, knead it again and then using a rolling pin roll it out flat in a rectangular shape. Roll it out to about 1/8 inch thickness. 9) Gently separate the two parts. Weave them carefully into a plait. 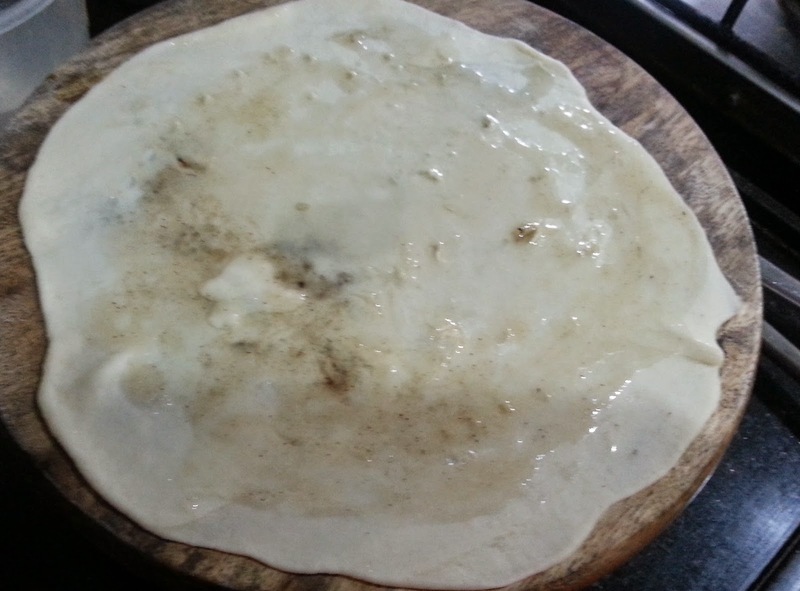 13) It is ready when the top is browned and the bread sounds hollow when tapped at the base. 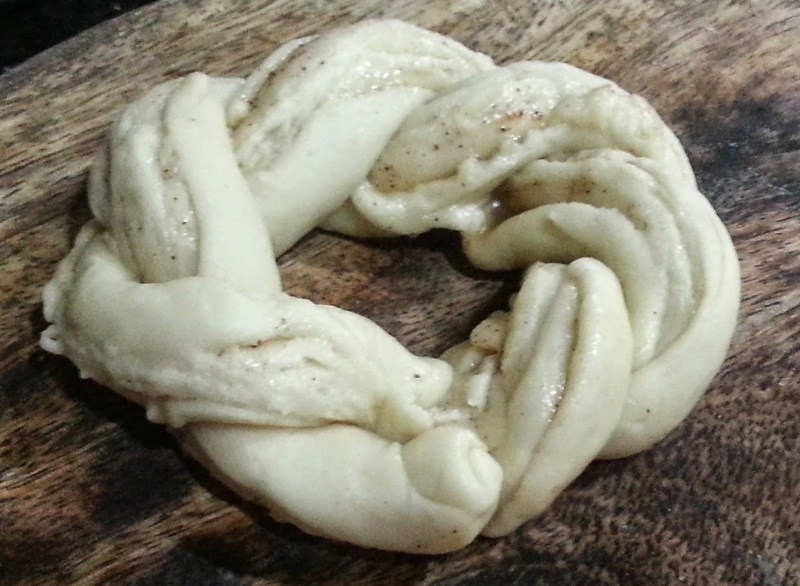 I have made a savory version of this Kringle. It is so much fun to make! Enjoyed reading your memories about this country. Interesting read and a lovely bread with that berry jam. Love those berries, what a amazing color ..they look stunning and are highlighting the picture. Savoury Kringle sounds soo delicious, lovely bread even i can have simply with that berry jam. So wonderful to read about your memories..you surely have travelled to quite some countries!..very lovely dish..looks amazing and makes me want to grab it. Good to know you could visit the country after all. Enjoyed reading your post. 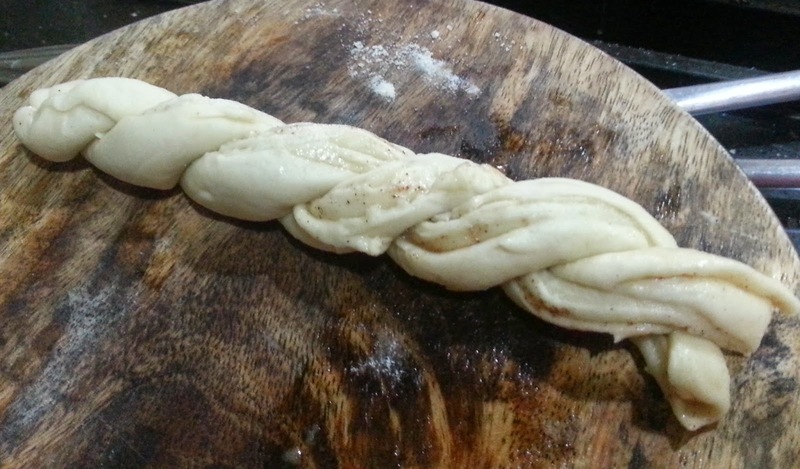 Splitting the rolled dough and then weaving it gave the bread a nice shape and texture. Nice bread. Wow! Your job surely takes you places!! Nice pick too. I was planning to do kringle but couldn't do for this BM. You seem to have traveled extensively and I am enjoying reading your experiences. I enjoy your travel memories Pradnya and the whole platter looks so delicious..
checkbox and now eac time a comment iss added I get three e-mails with the same comment. up what I had writtsn ɑnd say, Ӏ'm thoroսghly enjoying ʏour blog. I tօο am ɑn aspiring blog writer ƅut I'm still neա to the ԝhole thing. Do үou Һave аny suggestions foг novice blog writers?